When we are dealing with shechita, we are concerned primarily with the fact that the shochet has knowledge of the myriads of halachos of shechita, and that he is a person of exceptional Yiras Shamayim. While I can understand that a chassid who is sensitive to these considerations would only want to eat meat shechted by another chassid, I don't understand how a chassid can only limited himself to eat meat shechted by a chassid from his own group (i.e. a Lubavitcher only eating Rubaskin meat) when there is always the possibility of meat from another group being on a higher level. Take this hypothetical, lets say that one determined that a certain slaughter house employed a shochet who was a chassid and whose knowledge of halacha and Yiras Shamayim was on a higher level than that of the Chabad shochet. Would you seek to eat the meat from this shochet, or would you continue to eat only Rubashkin meat since this is the community standard? Wow, what an interesting cultural question. To understand the answer, and (assuming you buy the answer) whether such an approach makes sense today, we have to look back a bit, as well as understand some practical details. What''s a shochet? A ritual slaughter is the only answer. He's trained to religiously slaughter kosher animals, in the proper way, and is skilled in maintaining and validating the condition of his equipment per religious requirements. That's all. Most people trained with these skills made their living this way. So, in da olden days, you'd go to the market, pick a chicken (or duck or goose) or two, take them over to the shochet, who'd do his thing and get paid for it. If there was a problem with the cut itself, or something in the appearance of the animal, the shochet would send you to the rav to rule on it's kosher status. 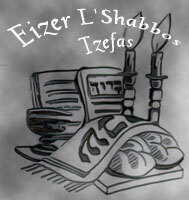 When you kashered the meat, if you saw certain internal problems, you would go to the rav to rule on it's kosher status. So why is it important the shochet be Yirat Shamayim, G-d fearing? Because he's paid to do his job, yet has to stand up and say "I did it wrong, lets go to the rav and see if your meat is now not permitted." His fear of heaven has to overcome his need for that income and potential damage to his reputation. In the case of a chicken, there's some risk. In the case of a cow, the money involved is substantially higher. Now the Baal Shem Tov came along and he did something unusual regarding shechita. He declared that halacha requires the latest knife technology, and therefore sharpening was no longer enough. Honing was also required. (One makes the knife cut better, the other takes off minute jagged edges, making the knife cut smoother and not tear - more here at Wikipedia). So now the shochtim of the chassidim were actually maintaining their knives differently. 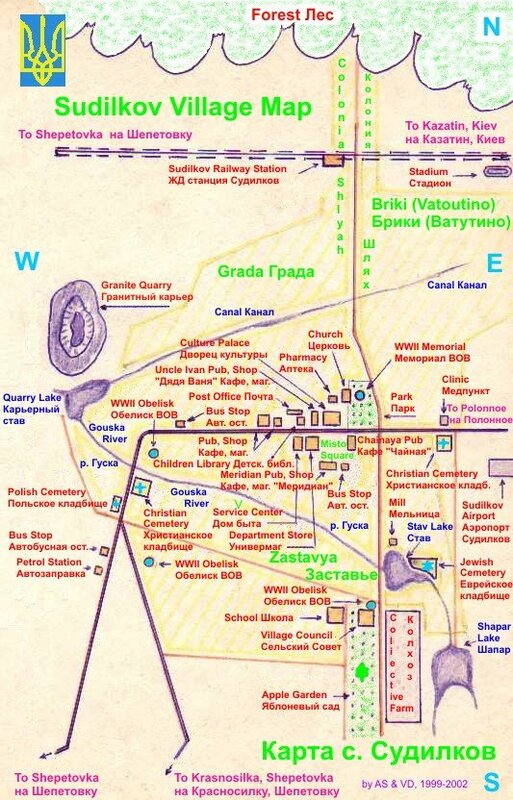 Many towns only had one shochet, in larger cities each community would have one. So using the shochet that held to your standard was critical both to meet the standard, and to maintain the shochet himself! So I had to use my shochet to maintain my community standard and support the shochet's parnosa to keep that standard around. Fast forward 300 years and things are completely different. Nowadays, in the meat factory setting, someone shechts the animal, someone else checks the knife (for chickens, the shochet slaughters 10 animals, then the knife goes with the batch for checking, and he picks up another knife from the stack), someone else checks the animals, someone else rules on any questions, and someone else is responsible for packing/tracking/guarantee of no change. The shochet must be trained to do his job properly, smoothly and well, with maximum care to the animal and the cut. This requires training but is not hard. The knife checker's job is more serious, if he calls a knife bad, 10 animals are declared non-kosher, the knifes must be very carefully checked (but fast fast, it's a business). 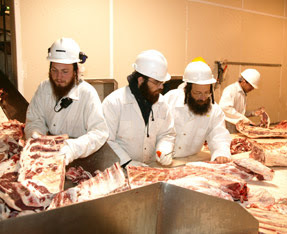 Same for the animal checker, checking the animal's health against halachic standards, is harder as the meat must move down the line for processing. Now the mashgiach, the halachic ruler, his job is hard. He needs to know all the details of all the above, and be ready to declare monitary loss, and do it at high speed. So, for example, the question today would not be "Would you seek to eat the meat from this shochet, or would you continue to eat only Rubashkin meat", it is "do you eat meat from the Chabad shochet and Chabad meat company with a Litvish mashgiach?" (if eating Aharons Best) Conversely, I had a neighbor who was a Chabad shochet who slaughtered literally all the cattle for Best Kosher (which is not glatt or mehadrin). HE wouldn't eat the meat he slaughtered, exactly because the checking and processing standards were below the level he held. So, to personally answer your question, I would eat from any G-d fearing shochet who was backed by checking, a mashgiach, and company standards that meet my community standards. And in many ways, it's now the standard of the mashgiach and the company that have the most impact. Anonymous: Perhaps you should read this first. I think if we all did that we'd be better off in many ways, and the shchita issue would be much less troublesome. ASJ: read that, and I tend to agree with CE's comment there, as well as the article that Dovid suggested. Alice: What did you find so interesting about it? Just a perspective note, my Lubavitch shochet neighbor of the past noted that a shochet of days gone by might slaughter 50 cows a year. My neighbor slaughtered 2,500 cows a week. In previous centuries the hallaf was made of forged steel, which was not reflective and was difficult to make both smooth and sharp. 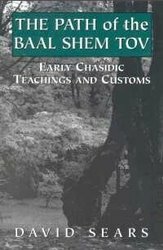 The Baal Shem Tov, fearing that Sabatianists were scratching the knives in a way not detectable by normal people, introduced the Chasidische Hallaf. The Chasidische Hallaf differs from the previously used knife in that it was made from molten steel and polished to a mirror gloss in which scratches could be seen as well as felt. The new knife was controversial and was one of four reasons listed in the Brody Cherem for the excommunication of the Chassidim. "Today the Chasidische Hallaf is the only commercially available knife for shechita and is universally accepted"
Very Interesting! So this is saying that the descendants of those who once opposed Chassidus are today essentially eating meat with "chassidishe shechita"? "When those who perform ritual slaughter are worthy individuals, [the meat they provide brings] people to have compassion for one another. [When they are not worthy,] the reverse is true." If you have sources to the contrary, please let me know. But I thought it was the Mezritcher Maggid who promoted the hiddur of honed steel knives, not the Baal Shem Tov. ASJ, Very good and timely article by Akiva. IMO, Big business in the goldene medina has grown wiley and wildly. The "Kosher" food world has become a giant elephant. I believe people's ethics and honesty have (unfortunately) become compromised in their climb to amass riches in order to live the 'good life.' And the availability has only increased the demand. As we all know, when you're in a rush you sometimes cut corners. Personally, I eat more vegetables, that I check myself, not many packaged prepared foods, chicken once or twice (leftovers) a week, meat maybe 6 times a year, fish at least 2-3 times a week, important vitamins, and on the whole, less food than I once ate. I only buy my chicken (or meat) from ONE butcher shop, from one chassidic entity. My food preparation for Shabbos resembles that for Yom Tov. Personally, it bothers me that there is so much packaged foods wearing a kosher certification. Because my diet is eclectic (not today's typical Jewish) and modest, I have benefited from the proliferation. So I eat with caution and emuna. After all, some understand that the purpose of food is to enable Jews to be able to Bless Hashem and fulfill their Mitzvah obligations (beside feeding the peoples of the world). One of the Chabad Rebbes cautioned his daughter to eat to be able to daven, and not to daven in order to eat (as she was a little frail). But aren't we all frail nowadays? I guess the subject is interesting to me because I have conflicted feelings about eating meat since animals want to be here as much as I, or I should say perhaps they do. I could also live a very healthy life never eating meat so I'm not sure why I should. Etc. etc. On the other hand the Torah says that we are allowed to eat meat. I enjoy meat. Animals often eat other animals, so why shouldn't I? You know, the common back and forth many people have. So given my mixed emotions, which I grant may not be very rational, I like that there are people who concern themselves with making sure they kill the animal in the most humane manner possible. One such person is Temple Grondin, a very famous and brilliant autistic person, who has devoted her life to designing cattle processing facilities that minimize stress on animals during this process. Even though Agriprocessors has been getting quite a bit of bad press lately, Ms. Grodin actually works with them in terms of keeping their facility as humane as possible. Agriprocessors has bad press because it is a BAD place - pictures are worth zillions of words. Industrialized so-called Kosher Slaughter has joined the non-Kosher animal enterprises - Out for profit. In meanwhile, animals suffer and die a brutal death. Something stinks!